2. The machine can produce fluff core I-shape or T-shape diapers which according to the customer`s samples. .
3. 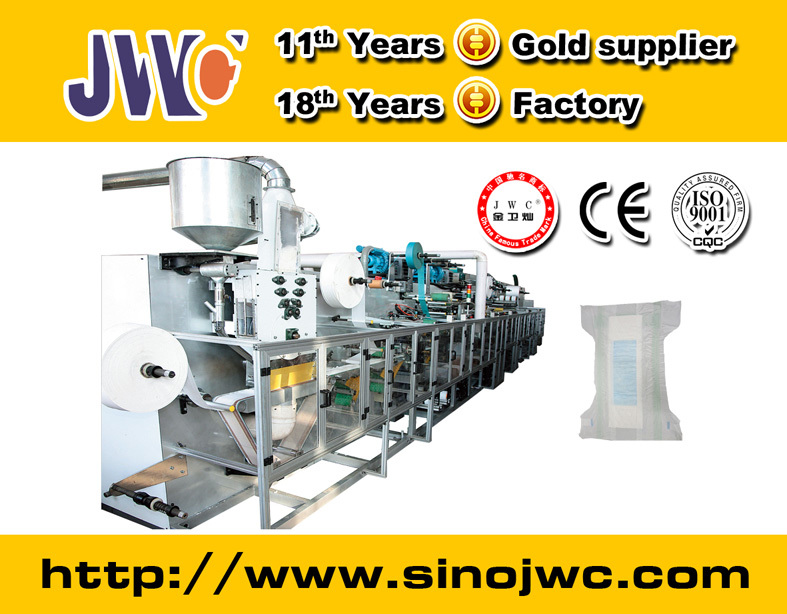 The machine has top sheet non woven, back sheet PE film, frontal tape and side tape devices. 4. Both sides with leak proof cuffs. 5. Material for stereo shield is cut and shaped by hot press on the equipment. 6. It adheres to elastic ribbon to be formed for side leakage proof. 7. After the side arcs are shaped, the wings will be tri-folded lengthwise. The diaper pads will be output in line and easy for packing. Looking for ideal Baby Diaper Machine Manufacturer & supplier ? We have a wide selection at great prices to help you get creative. All the Simple Baby Diaper Machine are quality guaranteed. We are China Origin Factory of Economic Type Baby Diaper Machine. If you have any question, please feel free to contact us.